DrupalCon Portland is only days away. Are you ready? I'll be there so be sure and say hi. I'll be wearing TheWeeklyDrop t-shirt most of the time so look for the guy in the green. I have TheWeeklyDrop stickers and a few t-shirts left so if you want one just ask. Support a Drupal developer(Aaron Winborn) fighting for his life by attending this event in Portland next week. The proposed changes to the drupal.org issue pages look really good. Many UI annoyances are being addressed as well as a major re-write of code behind this functionality. The Drupal Association is requesting your thoughts about topics for their Drupal webinars. "Come for the code. Stay for the community." That's our motto! We've put together a "Cooking Up Community" kit that contains everything you need for building your own Drupal community, including 10 easy-to-follow steps, resources, and even a Drupal cupcake recipe. Click here to download your community kit. The Portland “Get Involved with Core” sprint will be held Friday, May 24, from 9:00 a.m. to 4:00 p.m. (Similar sprints have been held at DrupalCons Denver, Munich, and Sydney, and many local and regional Drupal events). If you are headed to DrupalCon Portland check out this free iOS app. I love the personality of this app in addition to it’s utility. In Portland for DrupalCon with kids & want to meetup with other parents? Join the DrupalgÃ¤ngers groupme group. DrupalCon Stories is a pilot social media concept created and under development by Amy Cham, in collaboration with the Drupal Association. It is meant to help create a more complete view of DrupalCon and, more specifically, the Drupal community. Dries Buytaert outlines the approach to getting Drupal 8 released on schedule. The bottom line is that all patches have to work, be performant, well-documented, and well-tested. 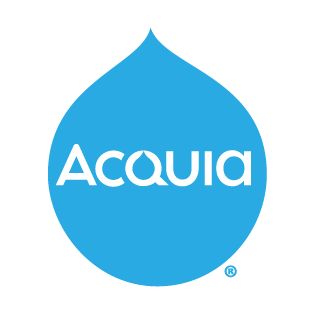 It’s a great time to get your feet wet with Drupal 8. MediaCurrent’s Kevin Basarab offers some great advice getting your site ready for Drupal 8. Most of these tips are great even if we weren’t getting close to a Drupal 8 release. This example will show you how to create a field that stores data in multiple values in the database. Learn how to find slow pages on your production site using the Google Analytics module a bit of custom code. Michael Anello shares a technique for replacing the group ID with the group title. It’s worth a read if you spend any time in the Views ui. Great tip from Mike Crittenden for rolling your own custom bookmarklet to speed content entry on your node forms. Cool site that lists Drush commands on a easy to skim web page. A Drupal distribution for hotel booking web sites. ERPAL is a full Drupal distribution aiming to manage almost any business related processes in service and project based companies. The prolific Ivan Zugec shares how to get started with the Mozilla Persona on Drupal 7. Mozilla Persona is a single sign on system that allows you to login into websites with a single registered email address. Ted Bowman’s Entity Rules module gives you as the site builder an easy way to give the site managers the ability to create rules. These entity rules are limited and therefore much more simple. Ted has a nice video demo on the post showing how it all works. Phase2’s Joshua Turton talk presented at the SFDUG Meetup. One of the most common questions relating to Entityforms is how to embed them on a node. This short video walks you through the steps. Checkout this webinar from MediaCurrent’s Jason Smith. June 22nd - 23rd, 2013 in Boston.